My giftings would include being a Pioneer (Apostle), know and love history, look forward and be able to have the past engineer the future. I also never really gave much to the dream that God had enabled and given me over the years. God has given Steve the gift of prophet and he has desired to use it but there just hadn't been the position to allow it to come to pass. Oh but both will be used in the next phase. So, here we sit, in a flux of incredibleness and wonderment. We are so amazed at what God does in our lives, how, if we just set ourselves aside and allow God to deal and dwell in our life, He will make a way when there is no way. 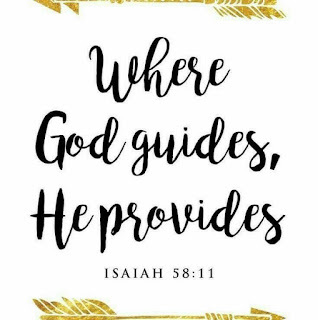 Yet, when we just give it to Him- all our fear, all our problems, all our stuff- praying for God to take it over and we do not have to deal with all of it alone. When we make God (Abba Father)the center of our life, when we walk according to the Bible (His Good News), when we allow ourselves to dwell in the House of the Lord, no one can form anything against us. We know from experience that God is big enough to handle our smallest and our largest problem. But about a month ago, I wrote out the prayers from Wellspring that really work! Kicking the devil out of the deepest, darkest places of your life. We hold on to so much and allow the devil to work in our lives w/o even knowing that he is even affecting us. So, go back through the archive and find the prayers, dig deep into your pain, deep into your fear and pray these prayers. Then ask the Holy Spirit to speak to you. Our hope for you as you read this blog, is for you to find yourself deeply immersed in the immeasurable love of God/Jesus/Holy Spirit. That you would allow Him to work the incredibleness of His Glory in you. I awoke the other morning with great fear. I had it the day before and it was coming out in my conversation with Steve, it was coming out very ugly. I didn't know what it was when it started until I woke up that next morning and we began to talk. I was deathly afraid of running into someone I know around here, someone from my past that harmed me and my family. So, I decided to use the fear prayer and pray it off. Within 2 min. of praying that prayer, I was set free! I don't want to run into this person still, but I have no fear now! This person no longer has control over me or my family. Make Jesus the Lord of your life today. Ask me how!